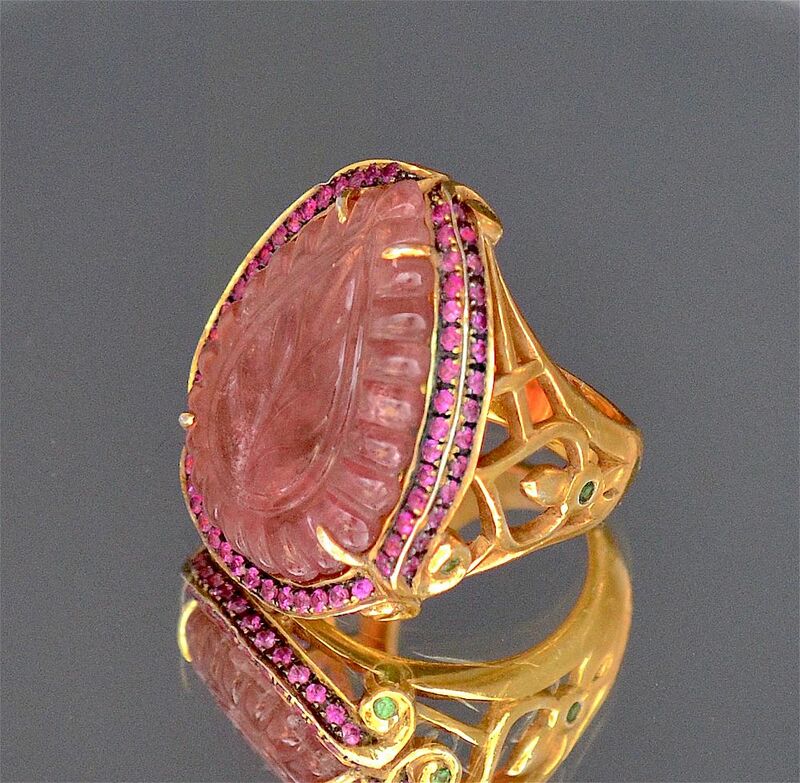 Toma Clark Haines has designed another beautiful ring for the TCH COLLECTION. 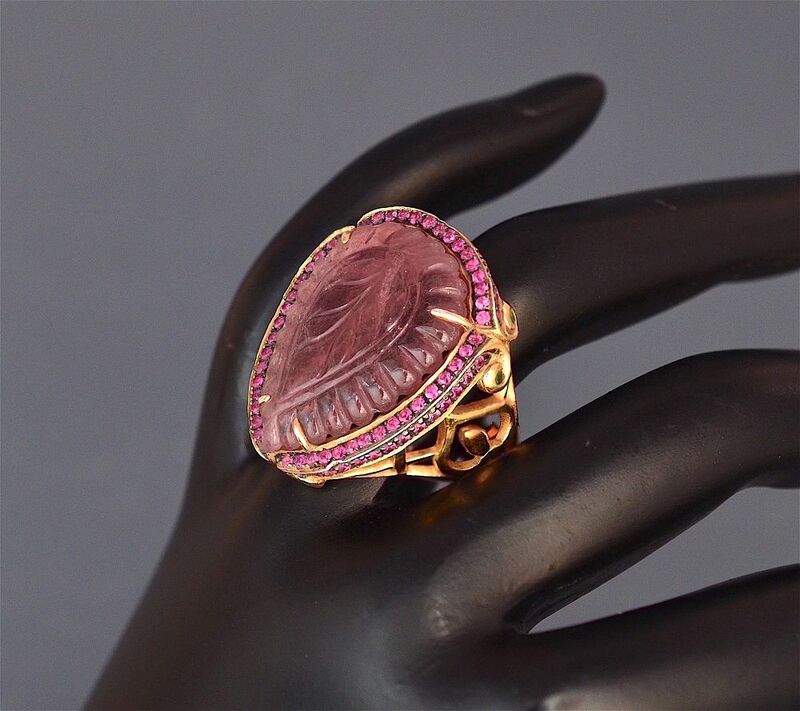 This one is set with a large shield shaped carved pink tourmaline set within an 18ct yellow gold plated silver frame set with pink sapphires both within and below the frame. 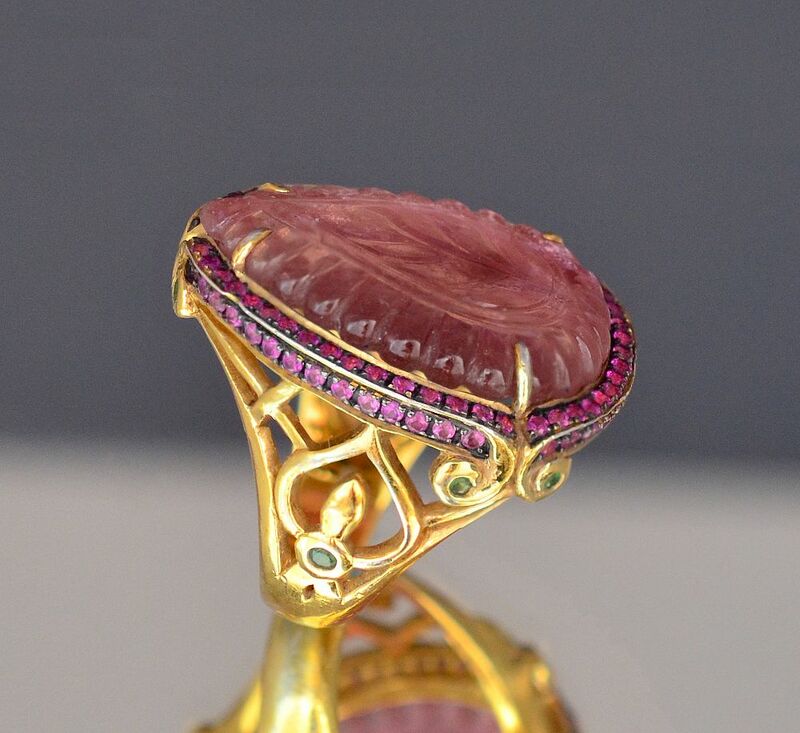 There are 6 tsavorites set in pairs in scrolling rubover mounts within the openwork shank and 2 more tsavorites again set in rubover mounts at the top of the solid 18ct yellow gold plated silver shank.